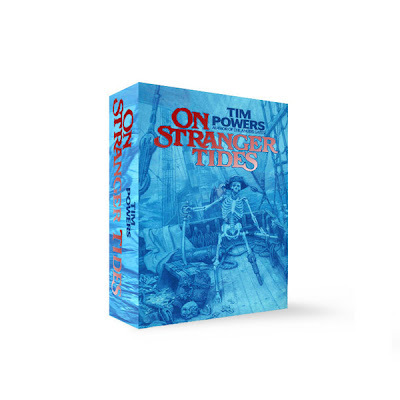 El Guapo over at Latino Review did some detective work and talked to the agent of Tim Powers, whose book, "On Stranger Tides" shares the same name as Disney's upcoming Pirate film. She didn't say much, but what she did say means that Disney is either adapting or using part of the book as the premise for Jack Sparrow's new adventure. So, it appears that Cap'n Jack may face a new villain. First he faced Barbossa, then Davy Jones and now... Blackbeard. Check out the exclusive report at the site right here. Which is stranger? Truth or fiction?